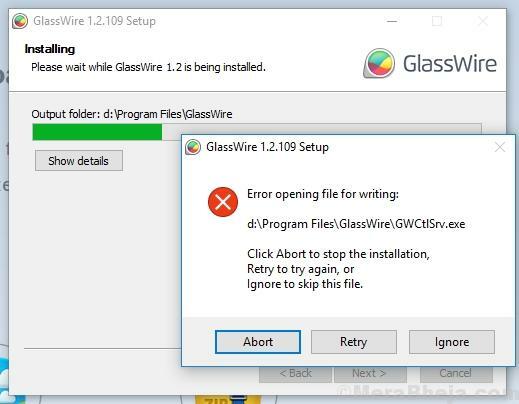 This error is common while installing applications like VLC, Notepad ++, GlassWire, etc. The issue could be that a previous version of the software might not have been uninstalled completely, or another installation in progress might be interfering, or the version selected might be wrong. In case we try to install multiple programs on a system at the same time, it might cause a conflict. The best way to ensure that no other installation is in progress, is to restart the system. However, the other process might reinitiate. In such a case, click on Retry and check if it helps. You could also open the Task Manager (CTRL + ALT + DEL >> Task Manager) and check if it indicates any other installation in progress. In case all these options fail, click on Abort upon getting the error message and go to the folder where the Setup file was to be saved and delete any component of the software. 1] First, remove the previous version or similar version of the software from Control Panel >> Programs and Features. 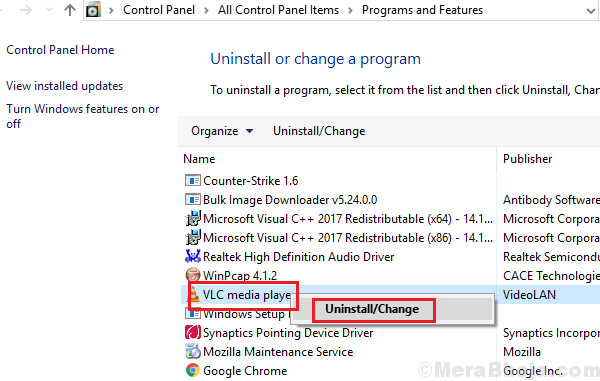 2] Uninstall the other version of the software and restart the system. 3] Delete any folder or logs associated with that software. Cleaning up the disk is necessary to clear any temporary files which prevent installation of the newer version of the software. 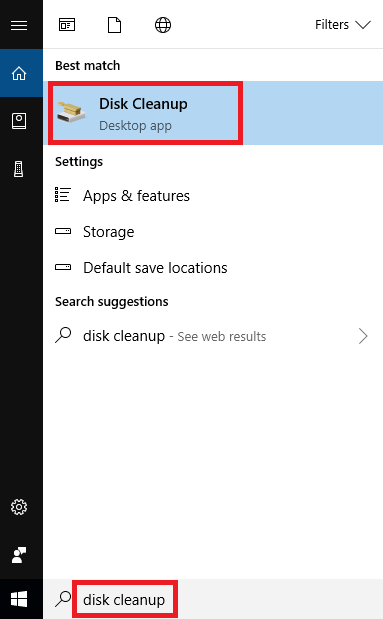 1] Search for Disk Cleanup in the Windows search bar and open the program. 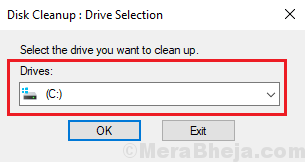 2] Select the drive to clean up and click on OK to run the process. 3] Restart the system and check if it helps with the problem. You could also use 3rd party tools to clean up the disk. In case the above-mentioned solutions failed, clear the traces of the program and re-install it from the website. However, change the download location when prompted for the same. Make sure that you download the 32-bit version of the software for a 32-bit system and 64-bit version of the software for a 64-bit system.